Temporary tattoos are usually reserved for kids, but the popularity of flash tattoos proves they're for grown-ups, too. 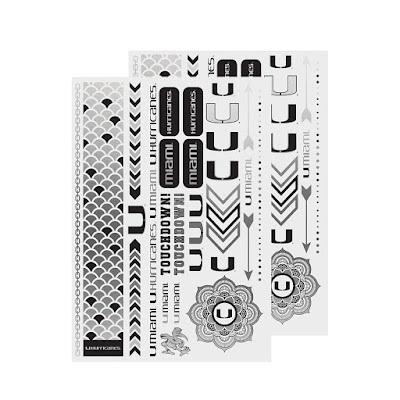 Flash tattoos are intricate, usually metallic patterns that last about a week after application. They're designed to look like actual jewelry; some mimic a necklace or bracelet when applied. While they're a popular fashion accessory for summer, they could also add a little glamour to gameday! 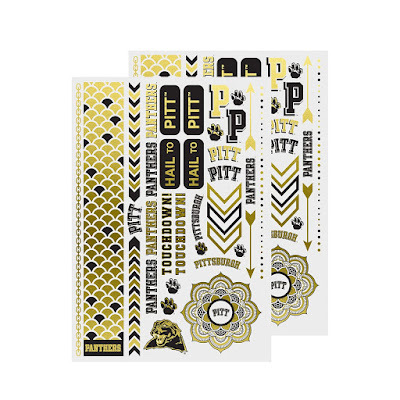 I found these cool NCAA flash tattoos in a variety of college teams, which would look great with a dress or pretty top in your favorite team colors. 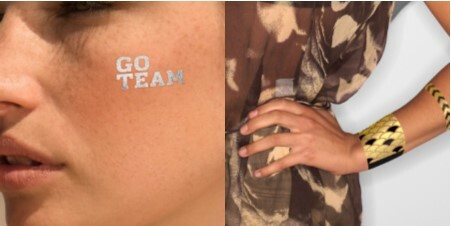 Would you wear these collegiate flash tattoos?